Our English School in Los Angeles is located in the most glamorous city in the United States. Located in sunny Southern California, Los Angeles is also one of the top travel destinations in the U.S., you will find a perfect combination of abundant natural beauty, endless entertainment, and world-class universities and museums. On the exclusive westside of Los Angeles. The School is conveniently located within walking distance to Westwood Village, close to Beverly Hills and Hollywood, and just four miles from the beaches of Santa Monica and Venice. 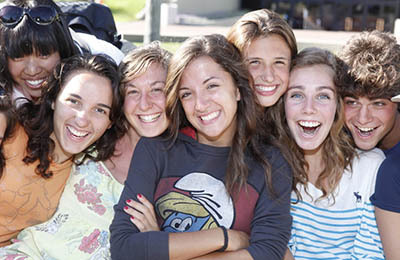 When studying in Los Angeles you’ll find yourself perfectly situated to study and have fun too. We know that our international students learn both in the classroom as well as outside of the classroom; therefore, we encourage full immersion through our accommodation and activities offerings. 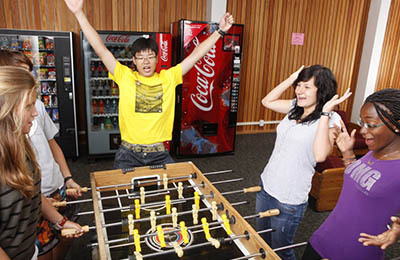 We offer living with an American host family or experiencing American university life in a campus dormitory. Our activities program in Los Angeles is filled with outdoor exploration activities. Southern California’s Mediterranean climate draws students outdoors all year round—for swimming, surfing, sunbathing, golfing, boating, tennis, and dining. Public transportation makes it all available to the students. Afternoon activities include visits to downtown Los Angeles, Hollywood, Beverly Hills, seeing the stars at a major movie premiere, and visiting University. Weekend excursions offer students the opportunity to go to baseball games at Dodger Stadium and popular places such as Disneyland, Magic Mountain, and Universal Studios. On weekend trips you can visit San Francisco, San Diego, the Grand Canyon, Las Vegas, and other exciting attractions. Through its 38 years of teaching students at all levels from all over the world, we have developed teaching and training techniques and programs that really work for everyone. Most students are eager to stay with an American host family while studying in Los Angeles. Living with an American host family is the best option for students who are enthusiastic about immersing themselves in American culture, improving their communication skills, and creating long-lasting friendships with their host family. Students may choose from up to three different Activities Programs for their afternoon activity at no additional cost. Students may choose up to one program each week. Students must choose their selection at enrollment to ensure availability. . We offers an optional week (California Cruiser) of exploration and excursions in Los Angeles. In lieu of classes and regular afternoon activities at UCLA students can spend the week going to a different and exciting destination each day. 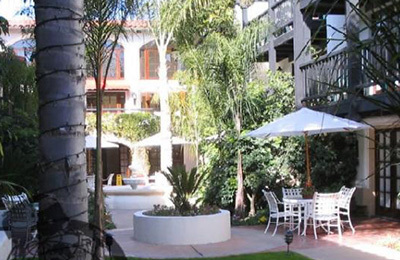 Our English School in Los Angeles is located in the most glamorous city in the United States. Located in sunny Southern California, Los Angeles is also one of the top travel destinations in the U.S. If you choose to study in Los Angeles, you will find a perfect combination of abundant natural beauty, endless entertainment, and world-class universities and museums. You will find on the exclusive westside of Los Angeles. ELC is conveniently located within walking distance to Westwood Village, close to Beverly Hills and Hollywood, and just four miles from the beaches of Santa Monica and Venice. When studying in Los Angeles you’ll find yourself perfectly situated to study and have fun too. "My experience has been even more interesting than I could have even imagined! The school is well organized and the teaching is really effective. I have met people from all over the world. Knowing others' experiences has helped me to know not only foreign cultures but also my own country better. My english has really improved. I would like to thank the front desk for having always been helpful and friendly I'll come back!" "I like this school because I enjoy with my friends. I learned a lot of English and I met a lot of people from many countries. This is a very good experience in my life because I learn about other countries. All the people who work in ELC, staff, teachers and managers are so friendly." "Since I arrived here, I have made a lot of friends from other countries. Teachers also are friendly. We played soccer and went bowling. The size of class is small, so we have a lot of chances to talk. The teacher’s explanation is easy to understand. I really have gotten English skills." "I had a good experience, I met a lot of nice students they became close friends. No matter how long time it may pass, I won’t forget. It was one of the best times in my life, and even I didn’t feel home sick."